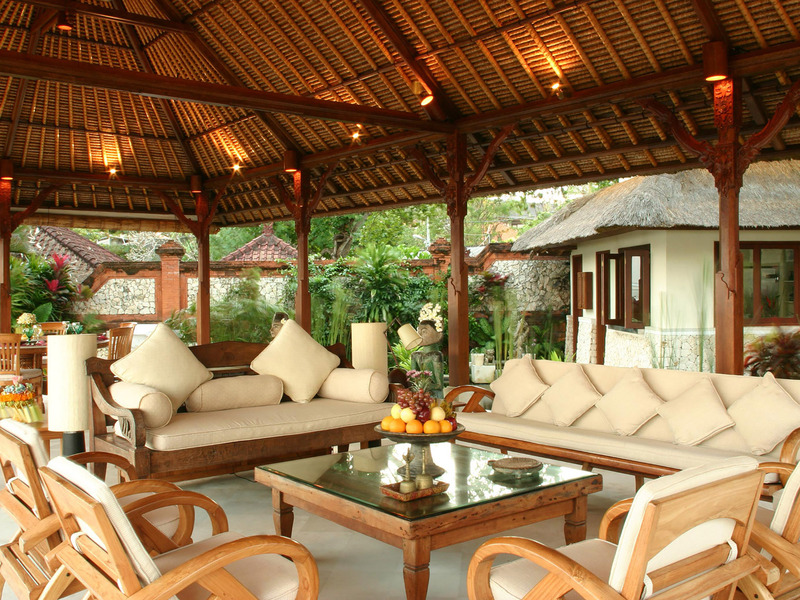 Absolute beachfront villas in Bali are few and far between. 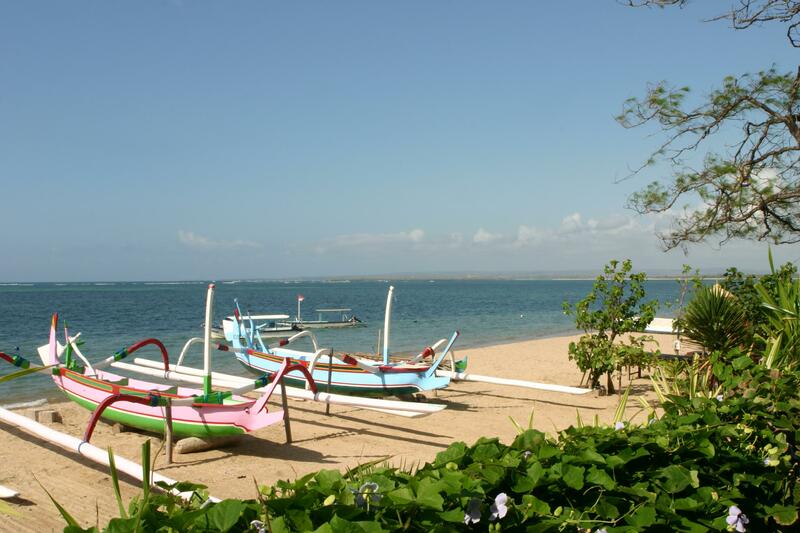 But holidaymakers seeking a blissful tropical vacation in a luxury villa with a laid-back beach vibe will find that five-bedroom Villa Cemara in Sanur on Bali’s south-eastern coast ticks all these boxes, and more. This private residence rests on 60 metres of beachfront land, with direct access to an expanse of golden sand and shallow, lagoon-like sea. Named after the native tree that shades the temple guarding its entrance, Villa Cemara comprises a cluster of one- and two-storey alang-alang thatched pavilions inspired by the compound-style of traditional Balinese family homes and arranged around a 10-metre greenstone-tiled pool. Every room boasts boundless ocean views across the Lombok Strait to the islands of Nusa Penida and Nusa Lembongan. Acclaimed Balinese architect Popo Danes fused the best traditional materials and craftsmanship with contemporary furnishings and facilities to create a gracious, elegant and comfortable home for the villa’s Australian owners, promising days full of magic. Linger over a leisurely lunch prepared by the villa’s cook from an extensive suggestion menu and served in the open-sided living pavilion. Take a siesta on the pool deck, indulge in a massage at the beachfront balé or sink into the black terrazzo jacuzzi in the master pavilion’s private bathroom courtyard. After a candle-lit dinner or fresh-from-the-sea barbecue, retire to your air-conditioned bedroom for a night of sweet, sun-induced slumber. Only a 15-minute drive from Bali’s international airport, Villa Cemara is perfect for one or two families or a group of friends seeking tropical open-air living, bags of ‘Bali-style’ character, boundless ocean views and an unbeatable beachfront setting. 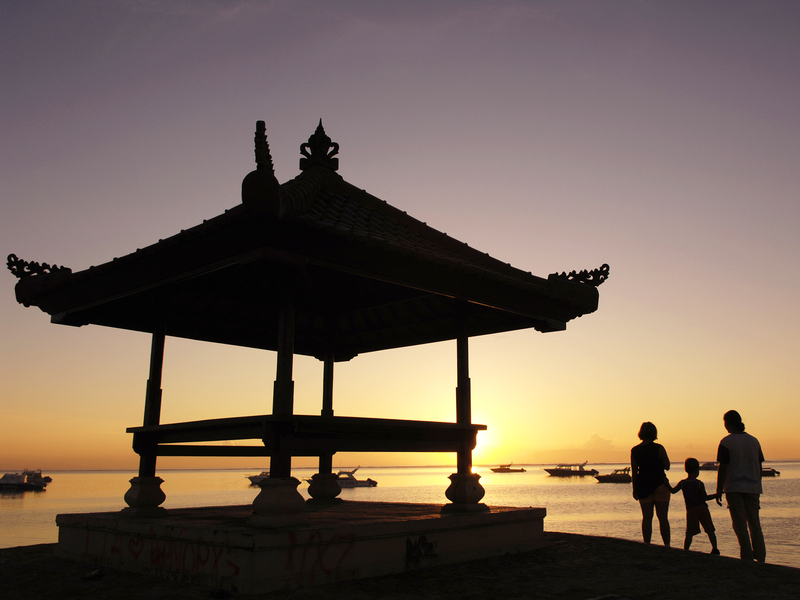 Along the eight-kilometre-long promenade beyond your private beachfront gate are kite surfing and sea-sports centres, as well as laid-back beach cafés, while some of Sanur’s most notable restaurants, bars, boutiques and galleries are also within easy reach of the villa. But with the villa’s dedicated staff on hand to attend to your every whim, you may be tempted just to stay home!